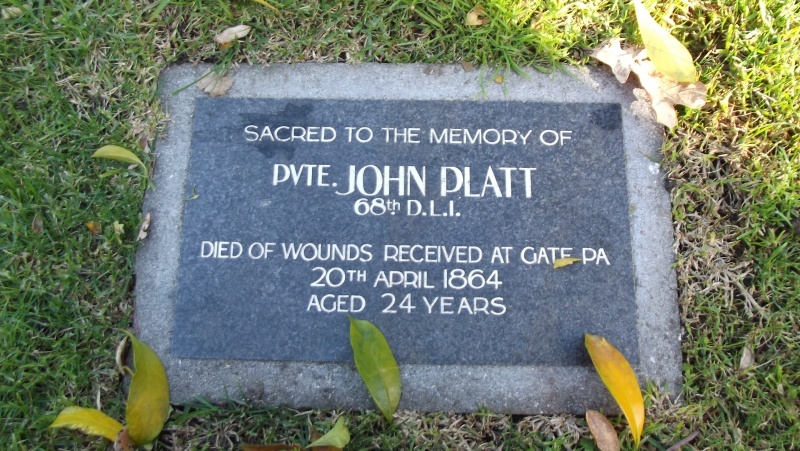 The Battle of Gate Pa; A Restrospective. This is a thread I posted in another forum I visit and I'm not entirely convinced that it fits here, nevertheless, here it is. I've been a bit nervous about posting it since it is very close to home for many of you, myself included. Recently my father passed away and I thought it might be the last time I went to the area, so I took these pictures, being into history 'n all, but I was back last week and thus I decided to post them in deference to historical interest. Please let me know what you think. 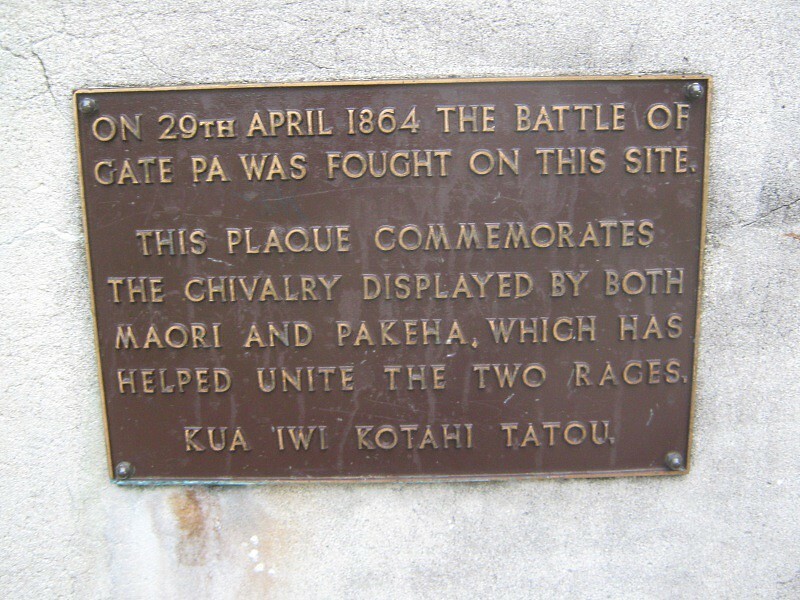 Without going into the politics of race relations, here is a bit of history about the Battle of Gate Pa, which took place on the 28th and 29th of April 1864. At the time it was considered one of the most humiliating defeats the British army had suffered. 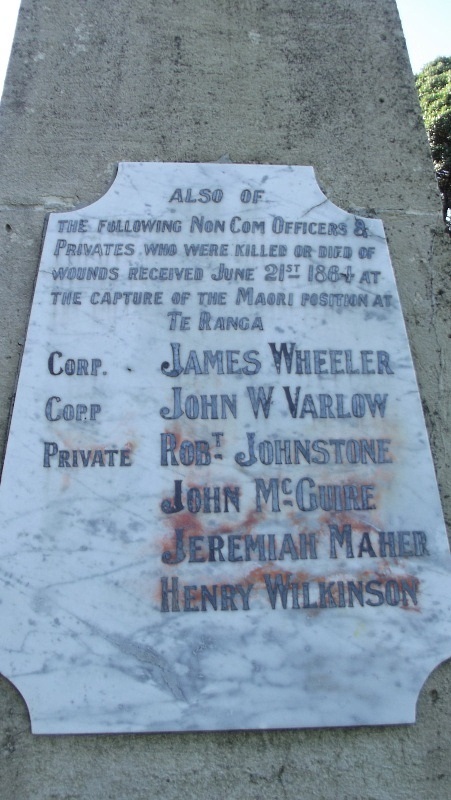 At that time, on the Tauranga peninsula the local tribes and the small number of settlers shared an uneasy peace, with territory divided by a simple fence about three miles from the colonial settlement, located at the very tip of the Tauranga peninsula. 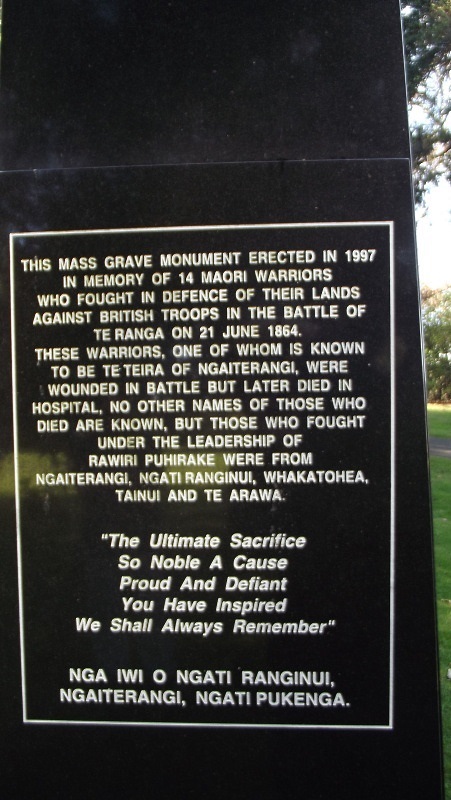 The incumbent tribe was Ngai Te Rangi, members of which became startled by a sudden influx of British soldiers to the area in January 1864. 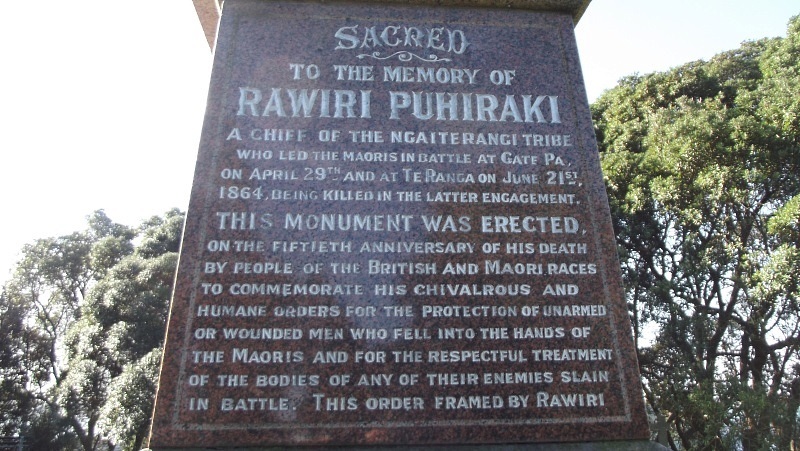 With war raging in the nearby Waikato, Ngai Te Rangi's chief, Rawiri Puhirake had sent men in support of the insurrection. With the arrival of British ships carrying soldiers, these were quickly recalled. 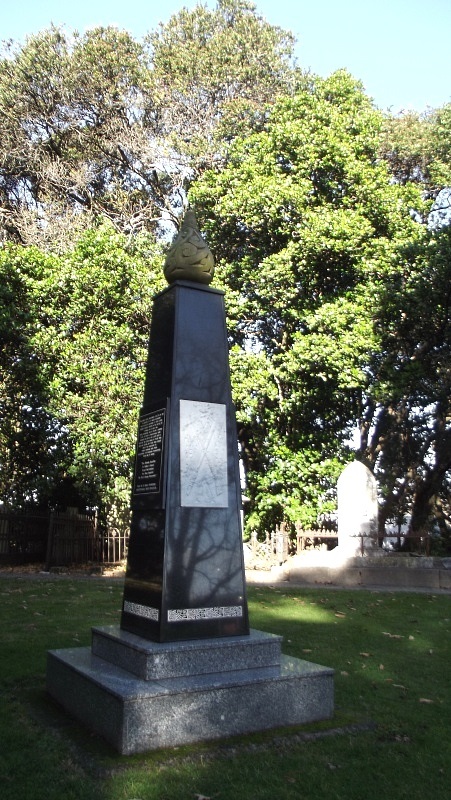 On 22 January some 600 men, primarily of the elite 43rd Monmouth and 68th Durham Light Infantry Regiments disembarked from the ships Miranda and Corio. 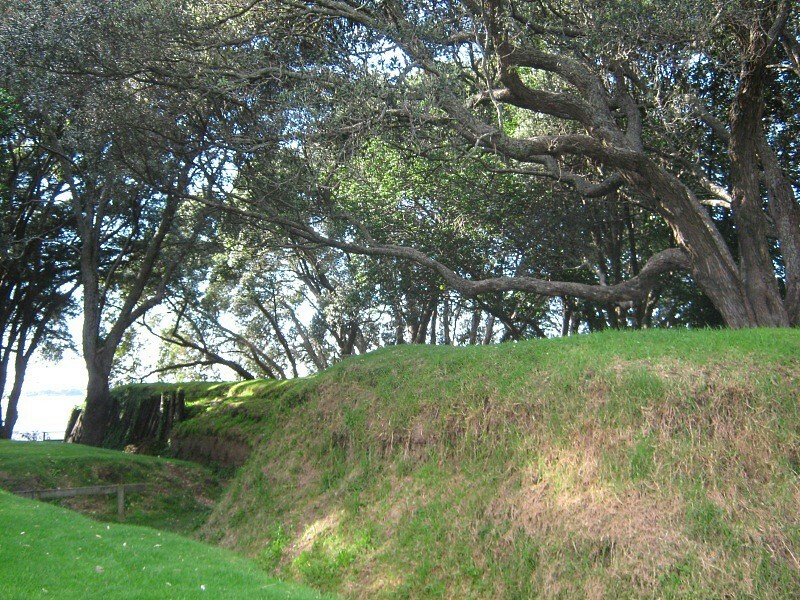 Two earthwork redoubts were constructed and named after the two regiments to defend the military emcampment. 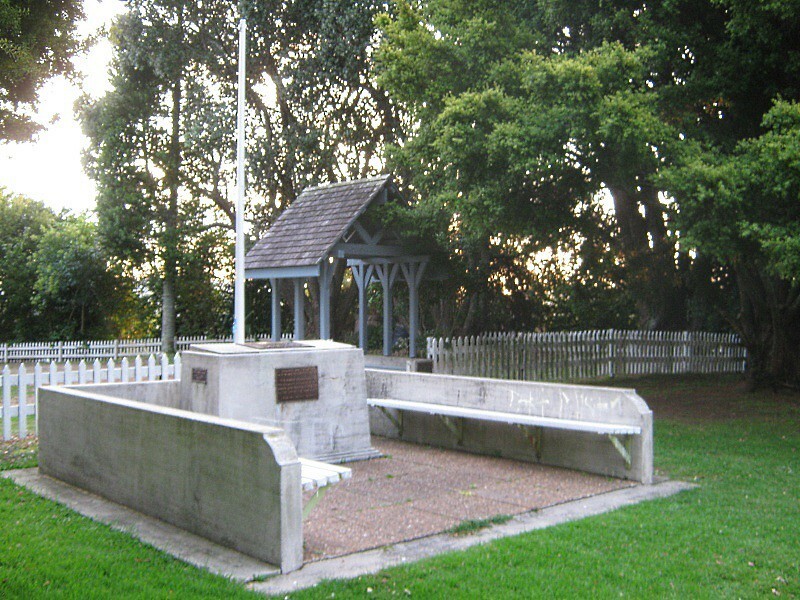 On instruction from Governor George Grey in Auckland, the soldiers were sent to Tauranga to prevent personnel and supplies from reaching the Waikato from tribes further along the coast, which used the bay as a landing point. 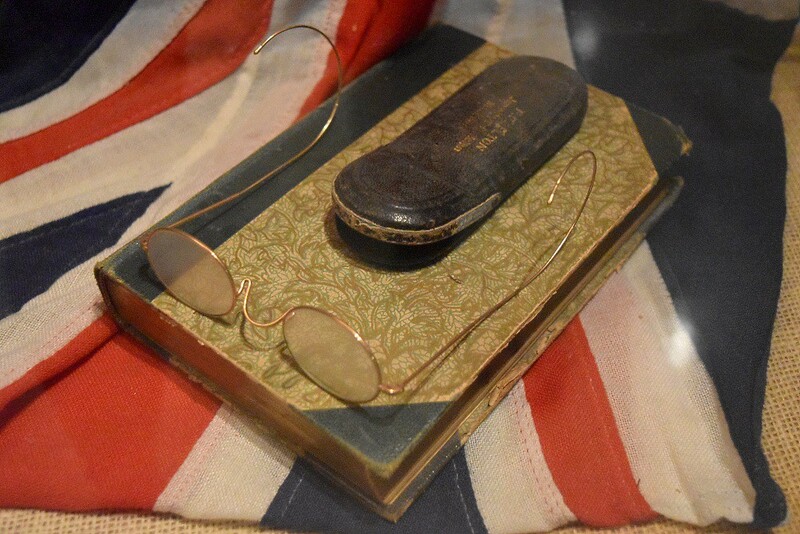 Personal items belonging to Gen Duncan Alexander Cameron, who led the attack on the Pukehinahina pa, on display in the National Army Museum, Waiouru. 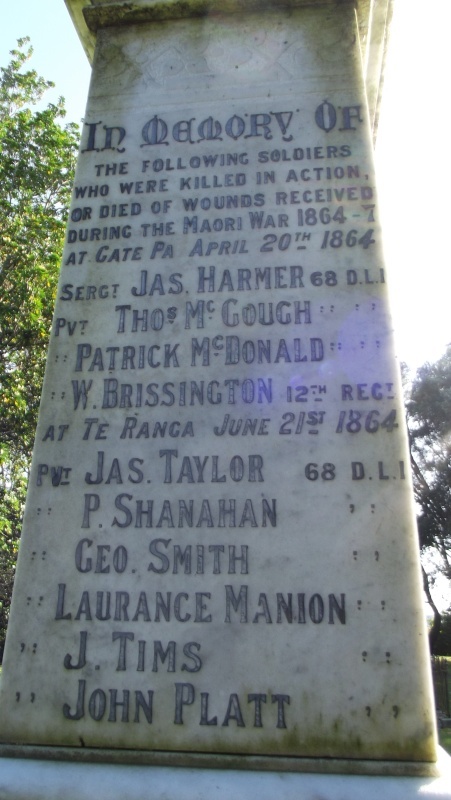 Once Puhirake's men had returned from the Waikato, a pa was built some miles inland from the British camp. 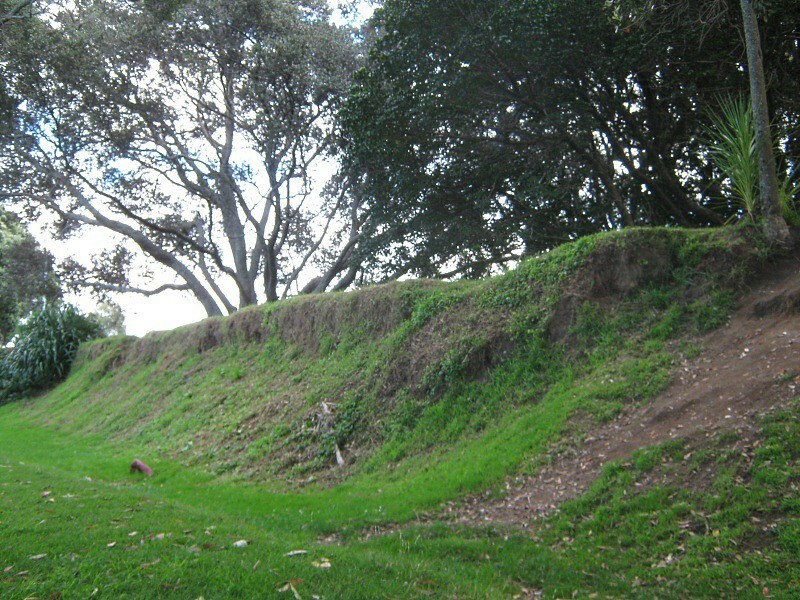 Traditionally, the pa was a fortified defensive position resembling similar such barricades around the world, including the British redoubts that sprang up several miles to the west of the one at Te Waoku. By this time however, the Maori pa had evolved into a weapon of considerable advantage to themselves; it had become an offensive position; without precedent in military history (more of which later). Continuing with tradition, the construction of a modern pa was effectively a declaration of war, but Puhirake's taunts went unanswered by the emcampment's commander, Lieutenant Colonel H.H. Greer, even after, with considerable courtesy and not a little humour, Puhirake offered to build a road to the pa to ease his enemy's journey into battle. In early April however, further provocation by Puhirake came in the form of the construction of a second pa on a prominent rise, this time only three miles away from and in full view of the government settlement. This new fortification sat at the border between Maori and European territory next to a gateway between the two. 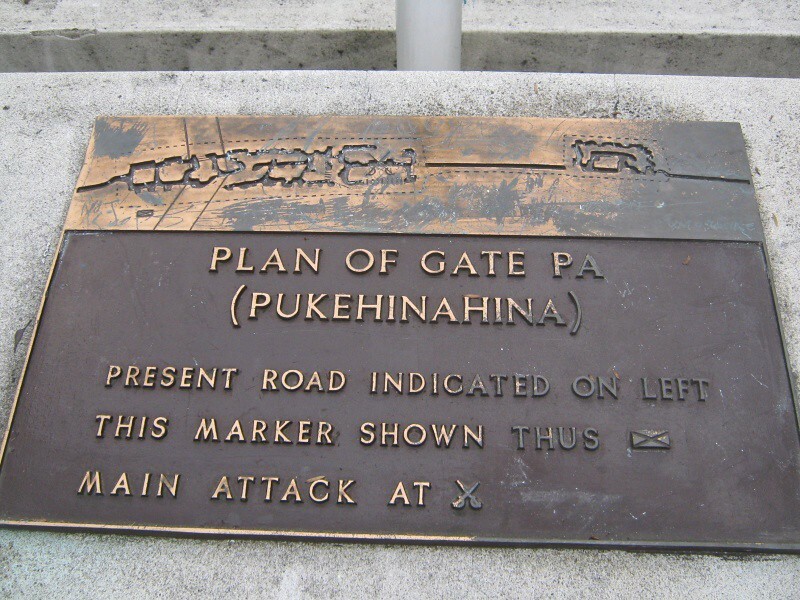 To the settlers, it became known as the Gate Pa. At Pukehinahina the new pa was was of intricate design of surface trenches and underground tunnels; a rectangle measuring 90 by 18 metres, with a smaller section, just 26 by 18 m that was connected to the former by a trench 300 m long. 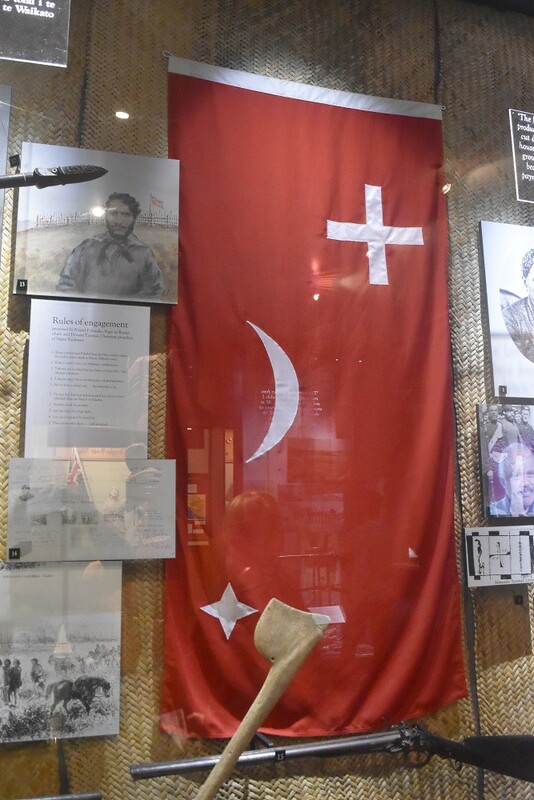 Puhirake's battle flag that flew from the flag pole mounted within the pa at Pukehinahina on display at the Auckland War Memorial Museum. At bottom left is a whale bone tewhatewha two handed club, recovered from the Gate Pa site in 1875. 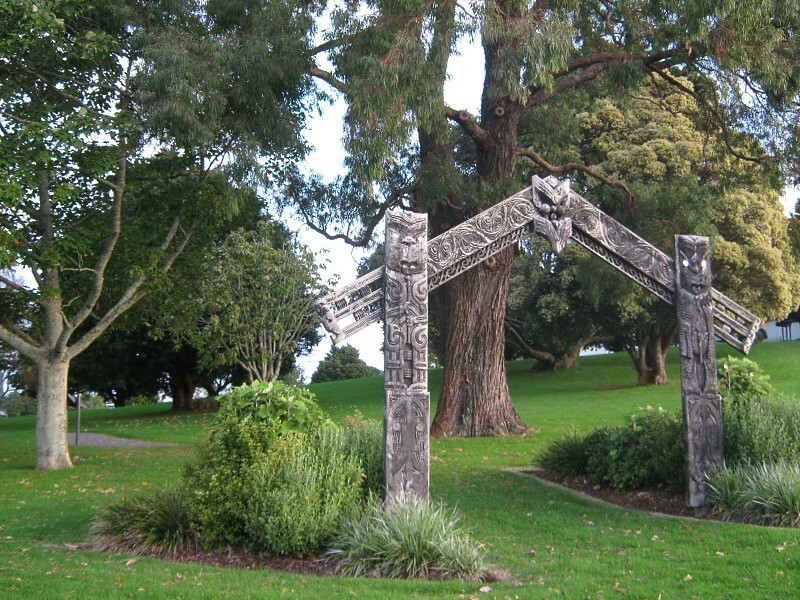 To the flag's left is a contemporary drawing of Rawiri Puhirake. With this advanced position, the threat could no longer be ignored. When Governor Grey heard the news, the military commander General Duncan Alexander Cameron was sent to Tauranga to make plans for war. By 26 April, Cameron and some 1,700 men were garrisoned at Tauranga, along with a formidable array of artillery pieces, comprising two 24-pounder howitzers, two eight-inch mortars and six naval Coehorn mortars, as well as five of the much feared Armstrong guns; two six-pounders, two 40-pounders and a massive 110-pounder. Against this powerful force, Puhirake had 235 warriors, primarily from Ngai Te Rangi, but also from Hauraki and Waikato tribes. By early afternoon on the 28th, the British force was ranged on the rise to the west of Pukehinahina Pa. As a precaution Cameron had sent the 68th Durham to the north of the pa along the foreshore to block the escape of any of the natives. As was customary, the battle began with the artillery pieces launching a fearsome barrage, the likes of which had never been seen on New Zealand soil before. For over an hour the guns pounded away at the pa before retiring and beginning early the next day. A 6 pounder Armstrong breech loading field gun on its carriage, with mannequins in period field wear. Two of these guns were used at Gate Pa and proved efficient. This one is on display at the National Army Museum, Waiouru. From dawn on the 29th the big guns blasted away again until shortly before 4pm, at which point a massive hole could be seen in the ramparts. There was little movement from within the pa, but figures could be made out moving about in the trenches. Next it was the infantry's turn and a rifle barrage signified its advance. Led by the 43rd Monmouth, some 300 soldiers marched toward the smoking pa and entered the breach, there was little resistance to their advance. Once inside the pa however, they were doomed. Ten minutes later, through the swirling smoke, stricken British soldiers could be seen fleeing the pa, screaming and bloody from flesh wounds. So, how was it that a well planned and well executed attack by crack British army units was foiled by a less well armed force less than a seventh of the British troops' number? The key to Puhirake's success on the battlefield was the pa itself. Pukehinahina was designed as a modern war machine, a weapon for which British armies had no answer, which is why it was so effective. Purpose built with the intention of destroying the enemy, its multitude of trenches were designed not just to conceal its defenders from artillery attack, which it did so admirably, since only a handful of Puhirake's men died during the enormous bombardment, but also to provide vantage points from where its defenders could fire apon any invaders who breached the defences and entered into the trenches. An element of deception was also built into the pa; a flag pole with a battle ensign was erected some way behind the pa, which initially fooled the gunners into believing it was the centre of the fort, so they took aim at this, overshooting the pa itself. Tunnels and displaced trenches, which enabled men to move undetected between them gave the impression of a greater number of defenders than what there actually were; indeed, Puhirake was expecting more men from further east, but these had been killed in a separate action a few days earlier. Ultimately, the Gate Pa was built purely for the purpose of bringing Cameron's forces to war; had Puhirake engaged the British in conventional battlefield tactics, he and his warriors would have most certainly been killed. Once the fight was over, Puhirake and his men made their escape, unhindered by the 68th spread along the bank of the estuary, carrying captured British weaponry and their wounded away into the night. This too, was part of the workings of the modern pa; it was not designed for continued occupation, but to be abandoned after battle. It was a weapon for fighting battles of attrition. In its aftermath, blame for the British loss was laid squarely on Cameron, which under the circumstances was rather harsh. 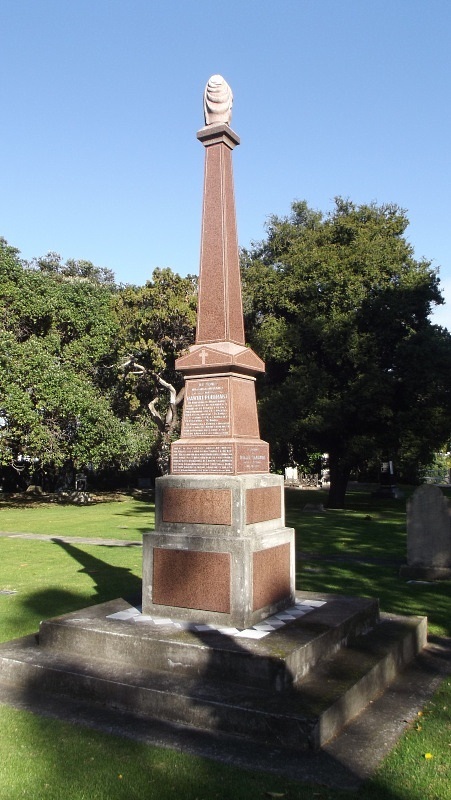 He had organised a substantial force against Puhirake as well as the largest assemblage of artillery pieces of the New Zealand wars, then planned a flawless attack. With the forces he had gathered, Cameron could not have expected defeat, certainly not in the manner in which it happened. In Britain, some accused the survivors of cowardice and inciting confusion; there are stories that the 68th had pursued fleeing Maori and blocked their exit from the pa, which led the attackers to mistake them for a new force of Maori arriving to replace those that had fled. This is obviously untrue; even in the fog of battle, a fully equipped British soldier is not going to be mistaken for a half naked Maori warrior! 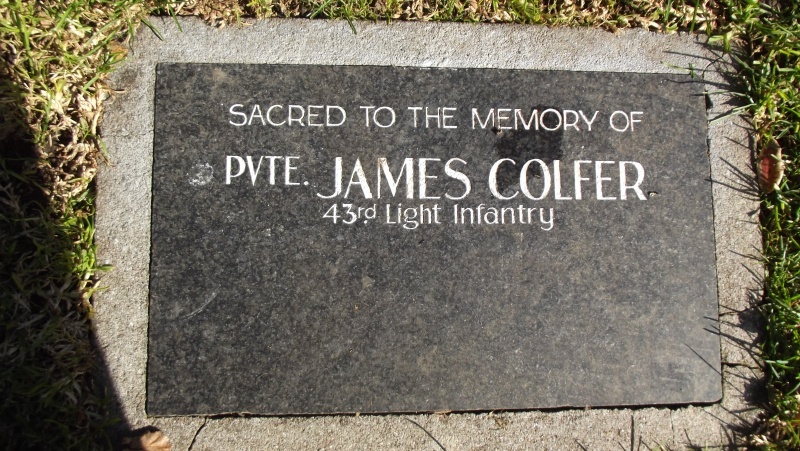 As for Puhirake and his men, on 21 June they were brought to bear at Te Ranga, three miles inland from Gate Pa, where they had began building another pa. Still incomplete, the defences were stormed by the 43rd and the 68th led by Greer. 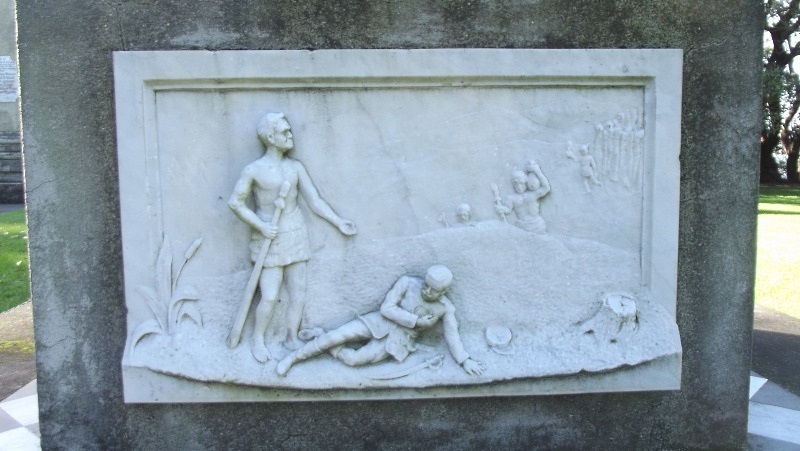 Puhirake was killed in the largely hand-to-hand fighting, which was among the bloodiest of the New Zealand campaigns, and his men were scattered. 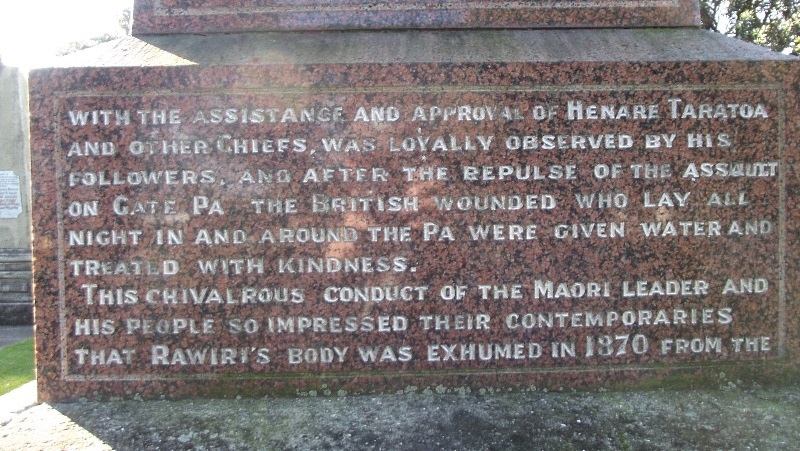 Despite this however, the defeat at Gate Pa had left an indelible impression on not only the British, but on New Zealand history as a whole, where the battle has come to symbolise not only a David and Goliath type struggle, but singular acts of humanity, when not long afterwards, stories of Maori tending to wounded British soldiers where they lay became known and eventually evolved into popular legend. 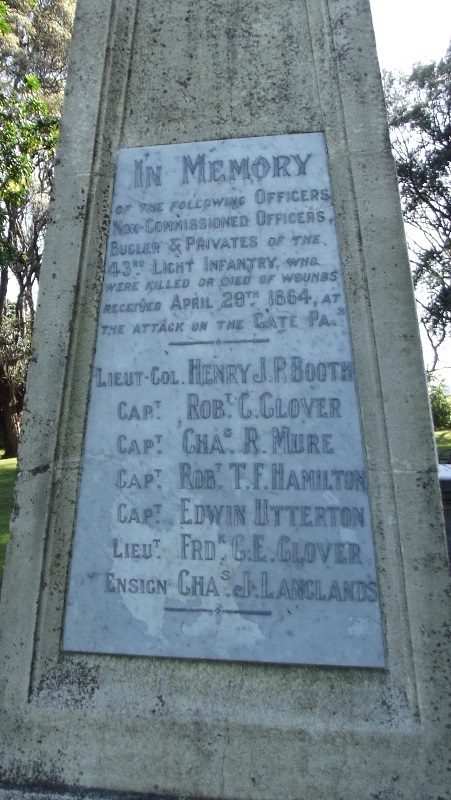 Not much of the battlefield survives; much of the rise on which the pa sat has been carved away to make way for an arterial road out of Tauranga, named after General Cameron. There is a small section of the hill remaining, where St George's Chapel sits, with a stone memorial to the battle. A short walkway with display boards describes the battle around the base of the remains of the hill top. This picture shows the entrance to the site off Cameron Road to the west of the pa, the direction from whence Gen Cameron's forces approached. Below is a view looking south toward the only visible remains of the pa itself, the slight depression before the top of the rise. This display board shows a contemporary drawing of a plan view of the pa. The intricacy of the trench network and tunnels is evident. Note also the cutaway showing tunnels, where Puhirake's men hid during the artillery bombardment. Those guys must have had balls to have withstood eight hours of blasting away by Cameron's guns. 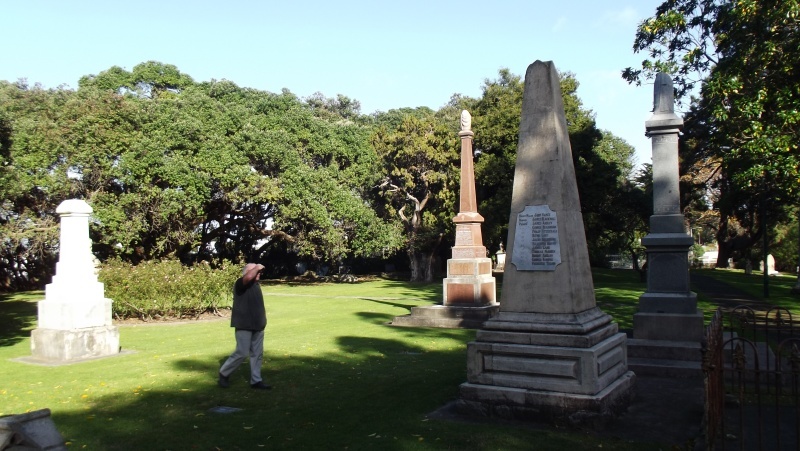 The banner, seen at the right of the drawing, which flew from the pa's flag pole still survives at the Auckland War Memorial Museum and can be seen in the previous post. At the crest of the hill is this simple memorial to the battle, with a gateway into St George's Chapel behind. The plaque on top of the stone illustrates the layout of the pa site, showing Cameron Road crossing through the pa. 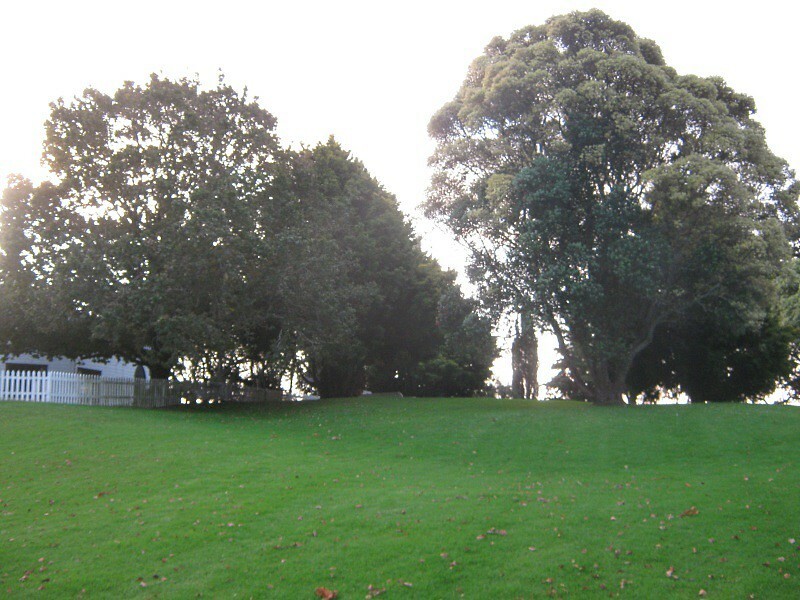 Nothing remains to the right of Cameron Road; the entire hill side has been removed and housing fills the gully leading down from the top of the hill. 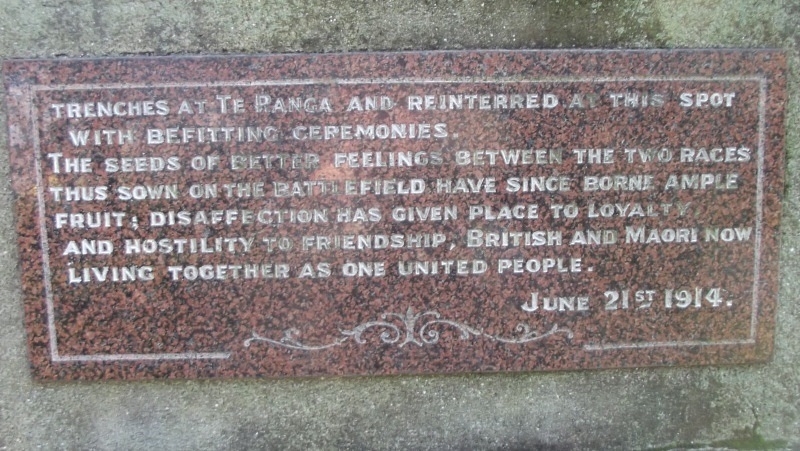 About where the bend in the road on the plaque is shown is a gas station, which used to have a mural depicting a Maori warrior giving a wounded British soldier some water; it's an image that has come to symbolise the battle in people's minds. Sadly, the rather stylistic mural is long gone. My father used to work at the gas station when he stopped driving trucks. The brooding sky above Gate Pa on the afternoon of my visit. Sufficiently moody for exploring the site of a bloody battle. Next, Monmouth Redoubt, The Elms Mission House and the Mission Cemetery. Of the two fortifications that Gen Cameron's soldiers built, only the remains of the 43rd Monmouth Regiment's redoubt survive. 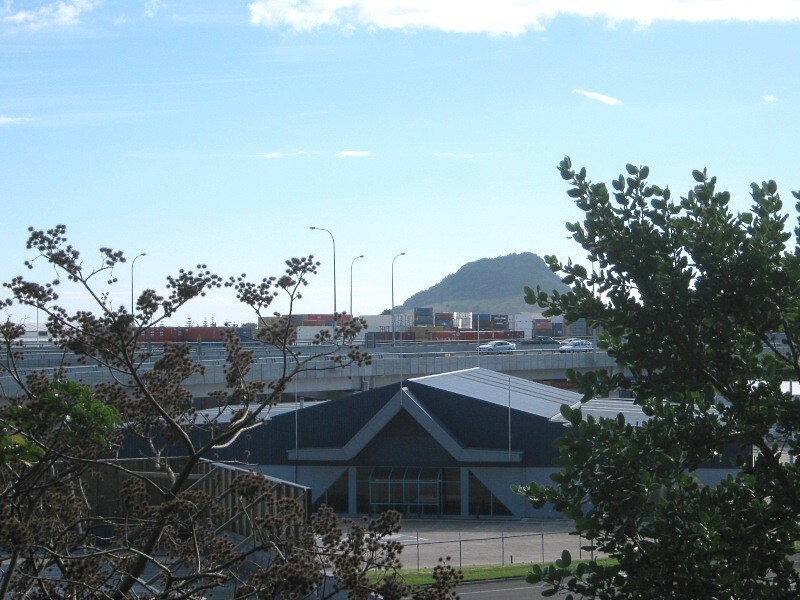 The basic outline of Monmouth Redoubt is still evident at the tip of the Tauranga peninsula, above the centre of the city of Tauranga. The entrance to Monmouth Redoubt from Redoubt Road. This is the western most edge of the redoubt's defensive wall. The settler's camp and the Archdeacon's mission house are a few hundred metres away. 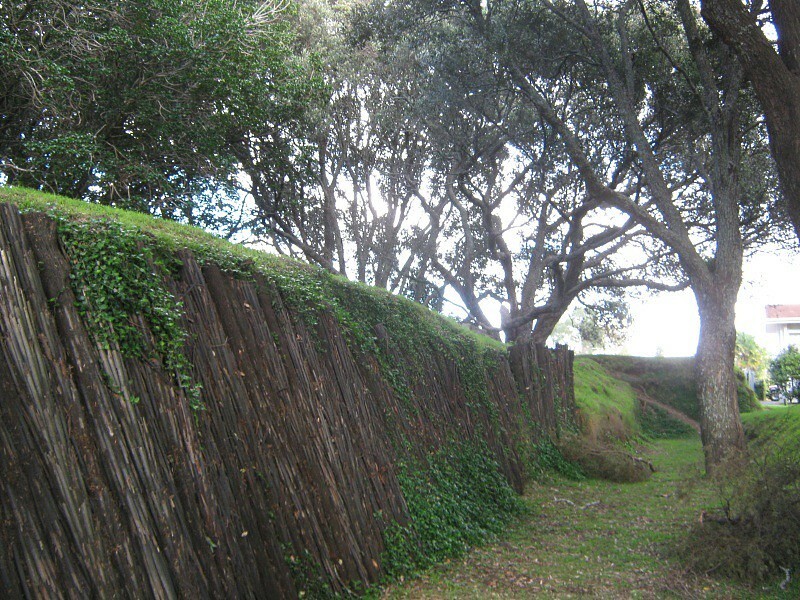 The northern wall of the redoubt. To the right of the picture is a sheer cliff face, which in those days dropped down into the harbour's waters. The punga logs (a native palm) are a recent addition put there to prevent the wall from crumbling away. 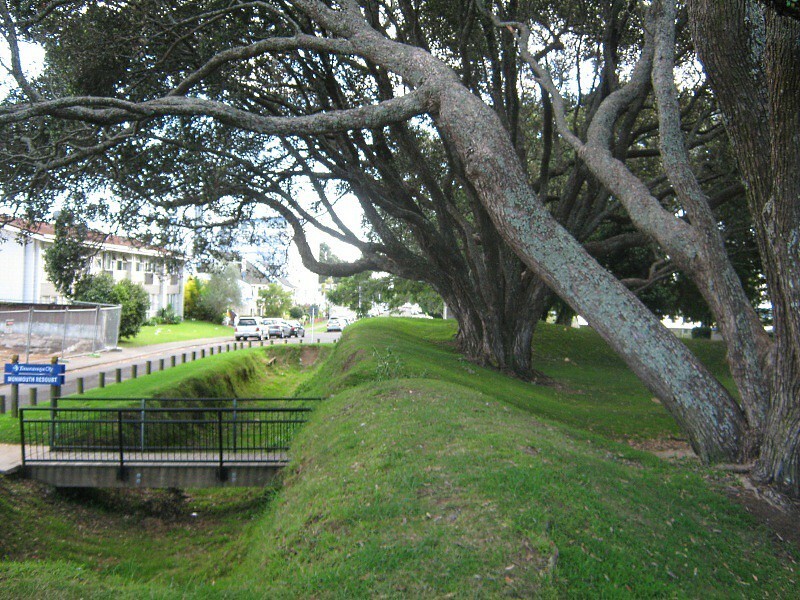 They weren't there when I was a kiddie; I used to climb all over the redoubt and slide down the bank on my back side, as have thousands of Tauranga school children. 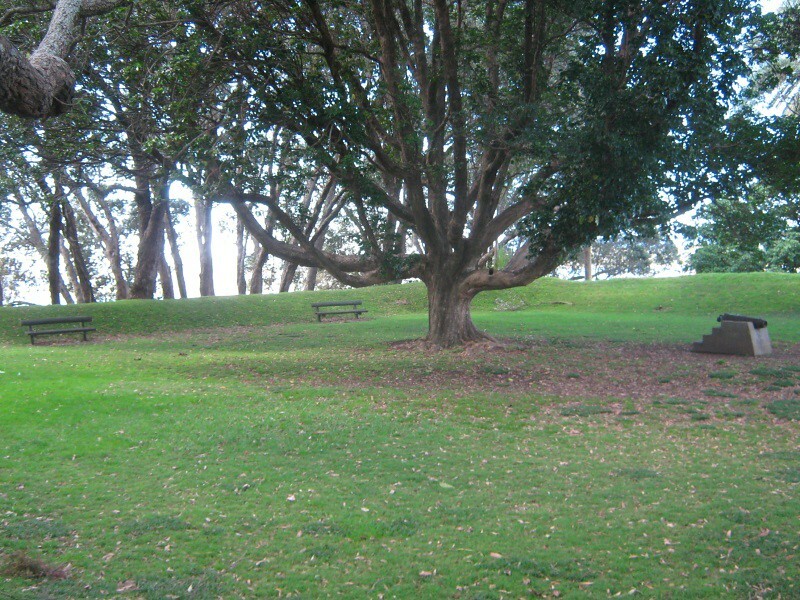 The eastern ramparts of the redoubt. 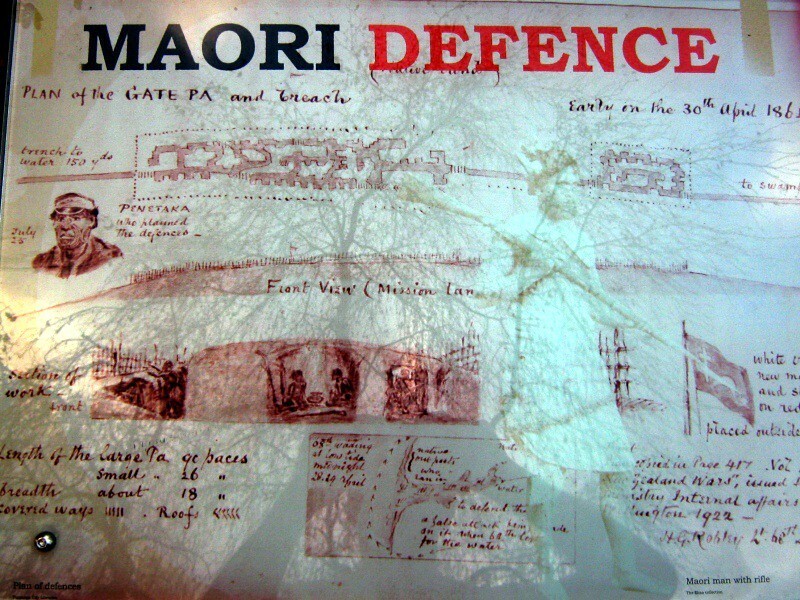 This wall faced the fence denoting the boundary between settler's and Maori land three miles from the redoubt - and the pa at Pukehinahina. The interior of the redoubt is today a quiet, cosy spot for sitting and contemplating. The only evidence of any military use being the carronade incongruously parked in the middle of the site. 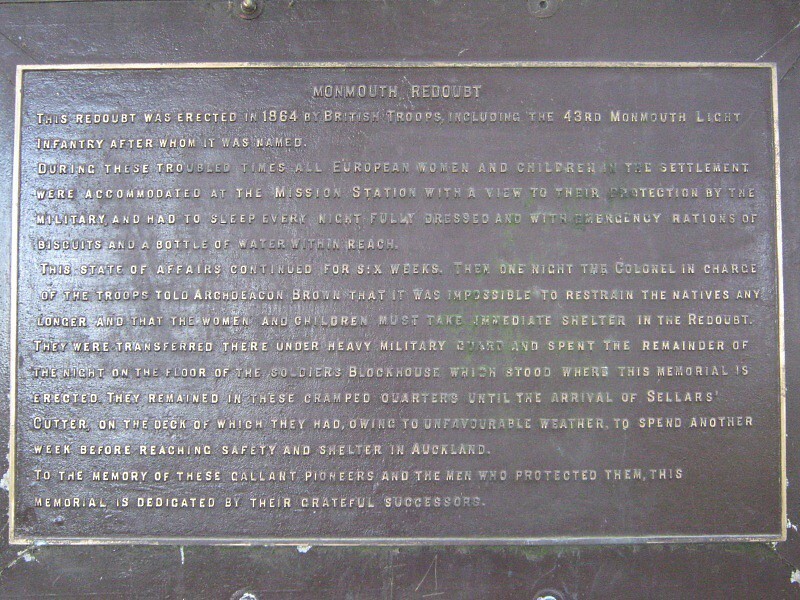 This plaque is located on the site of the redoubt blockhouse, from where the above photo was taken. The six-pounder naval carronade in the centre of the redoubt. 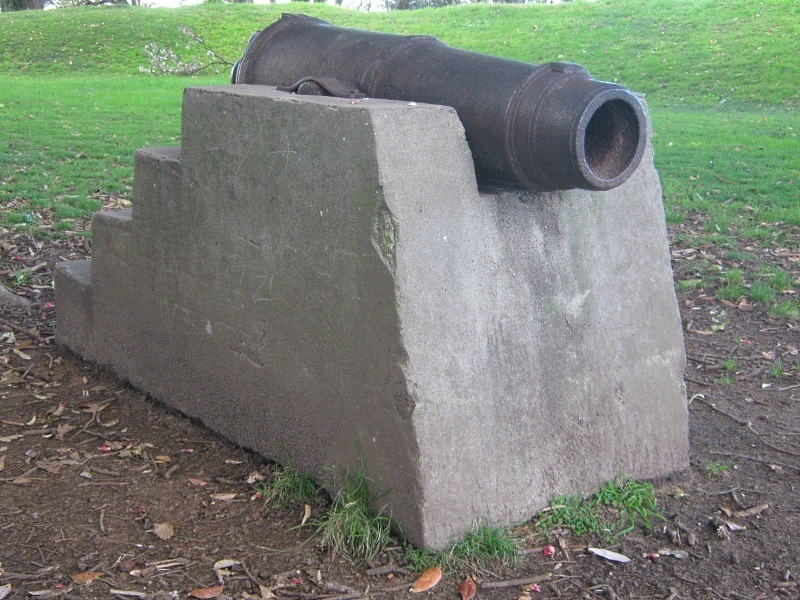 This was one of a number of artillery pieces captured from Danish Maori Hans Tapsell's Maketu Pa battery in 1836. The casting on top of the carronade, worn smooth by generations of school kids' bottoms. 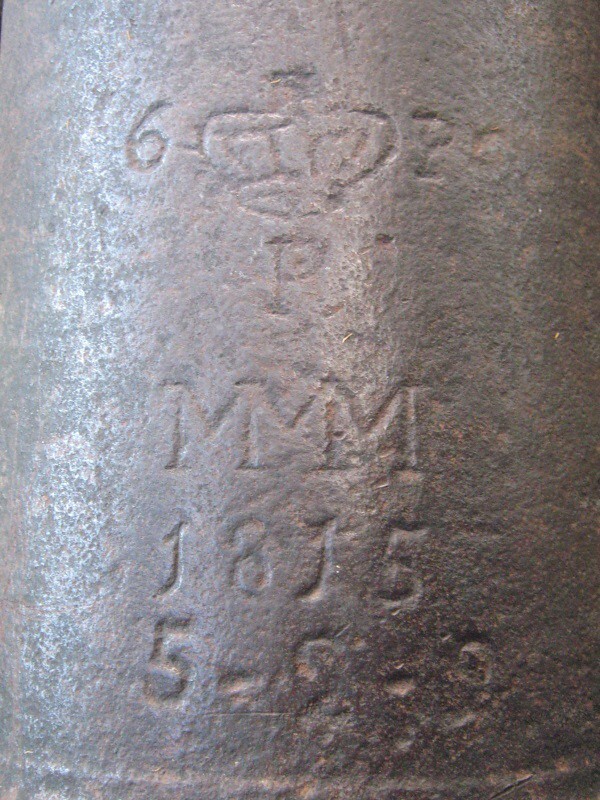 Carronades originated from the Carron Foundry in Stirlingshire, Scotland and were characterised by their stubby appearance. 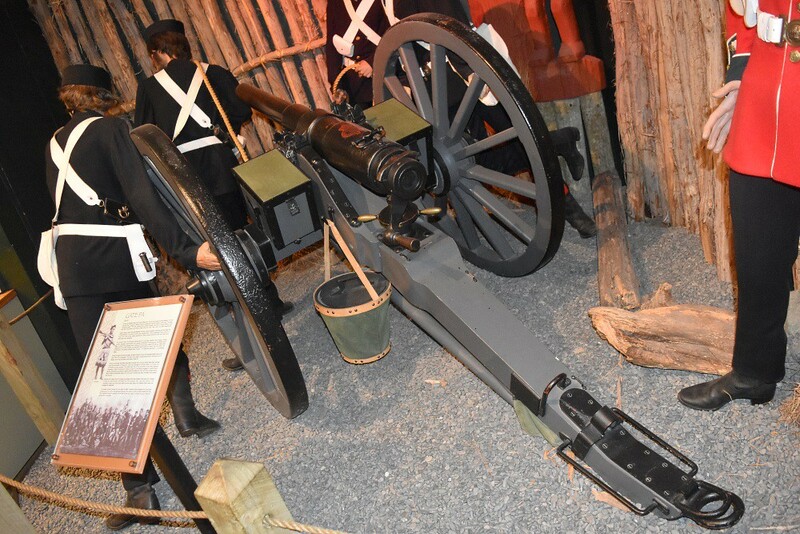 Nominally mounted aboard ships' foc'sles or poop decks, carronades were used for close-in attacks against personnel as they typically had a short range, but were lethal nonetheless. 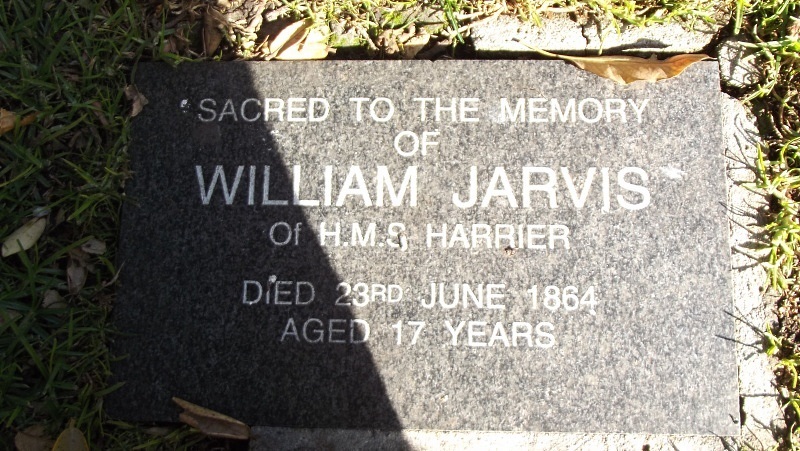 A great many of them came ashore during the New Zealand Wars and some of these survive at sites around the country. 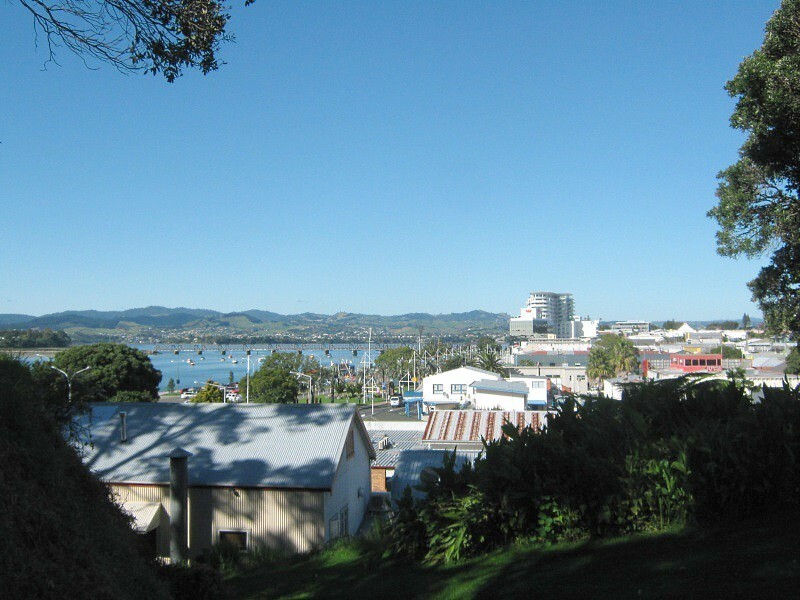 The view overlooking Tauranga city centre from the redoubt looking east. Gate Pa is to the right of the picture out of sight, but when the redoubt was built it would have stood out in the distance. The centre of colonial settlements was the church and the mission house established by a member of the clergy spreading the Good Word among the settlers and in this case at least, rather foolhardily attempting to influence the natives. 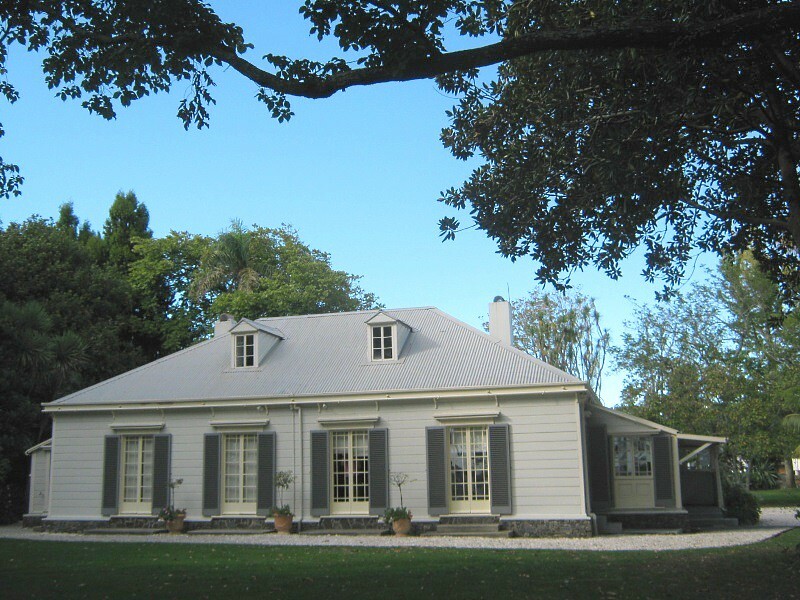 At the time of the Battle of Gate Pa, Tauranga's Mission House was occupied by the Archdeachon and Lady Brown. On the night of the 28th of April 1864, after Gen Cameron launched his opening barrage of gunfire, a dinner was held for officers in The Elms. 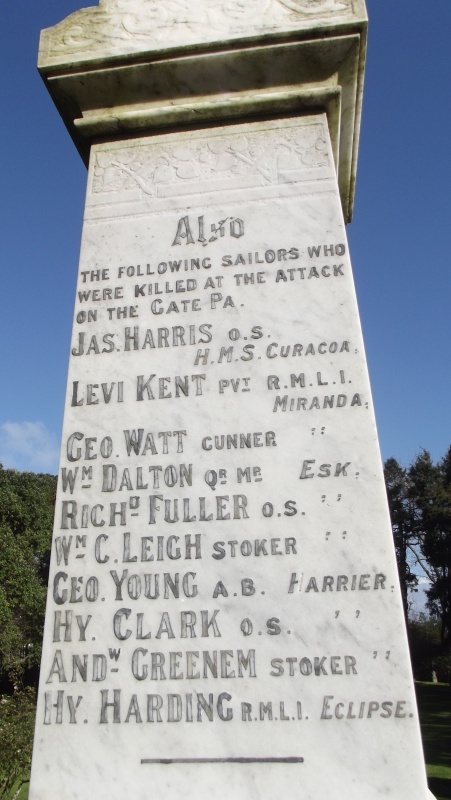 Present was Captain Hamilton of HMS Esk and Commander Hay of HMS Harrier, two of the warships that brought Cameron and his men to the Bay of Plenty, Assistant Surgeon Manley of the Royal Artillery, Lt Col H.J. Booth, Capts Glover, Mure, Hamilton and Utterton and Lt Langlands of the 43rd Monmouths. These men were chosen to lead the assault that was to take place the next day. 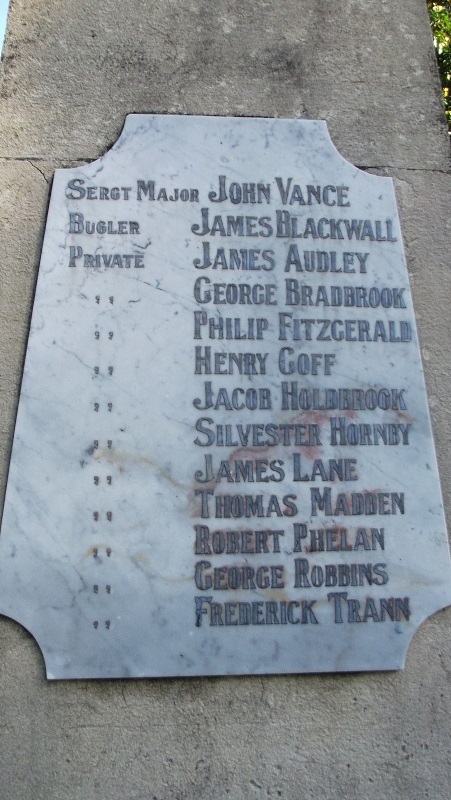 Within 24 hours, all but one of these men listed would be dead or mortally wounded. The original entrance to the Elms from the north west of the garden. 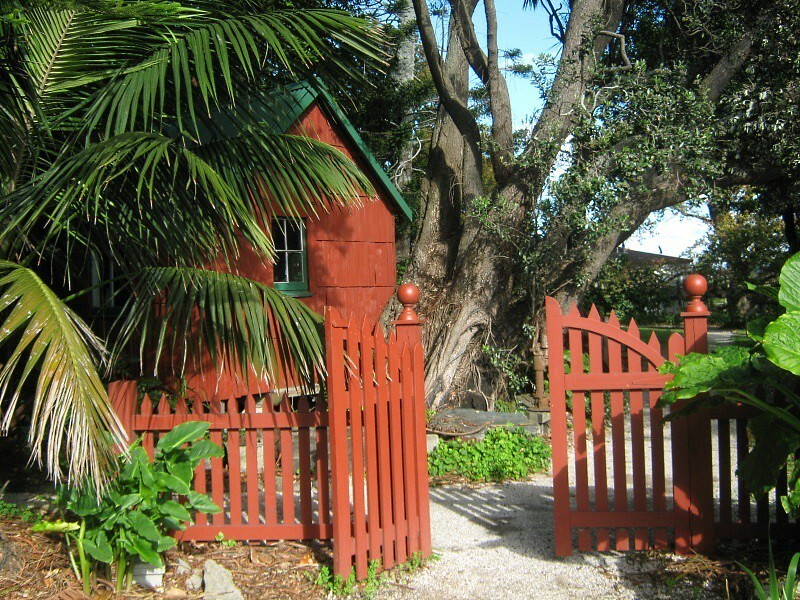 The gates are reproductions, but the blacksmith's shed is original. 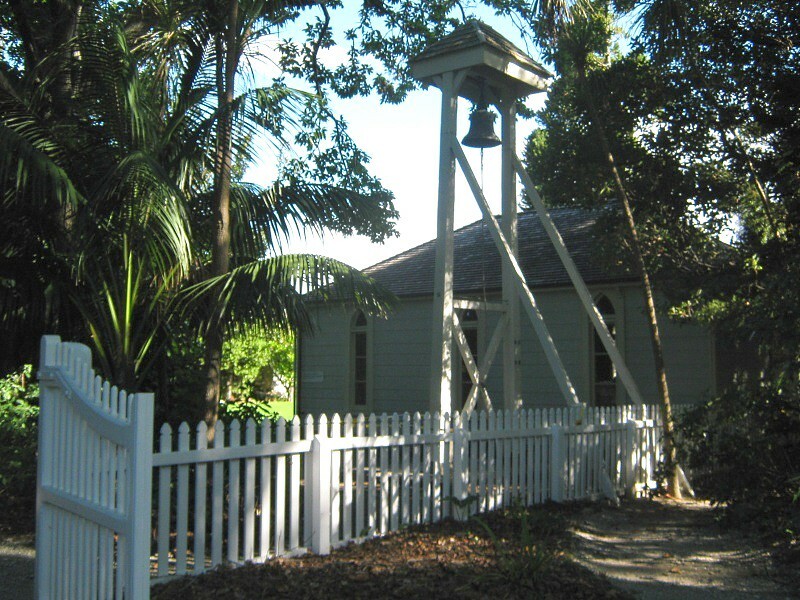 The original chapel and bell tower built by the first settlers to the area a few yards away from the mission house. A display board illustrates the commanding view overlooking Tauranga harbour at the very western tip of the peninsula. Over the years, The Elms was visited by many an influential personality and its gardens were renown for their beauty. Today the vew is not so picturesque; the only constant being the cone of The Mount. Will have to stop for a change rather than drive right past. Having grown up in Tauranga I spent some time playing at the redoubt over the years. 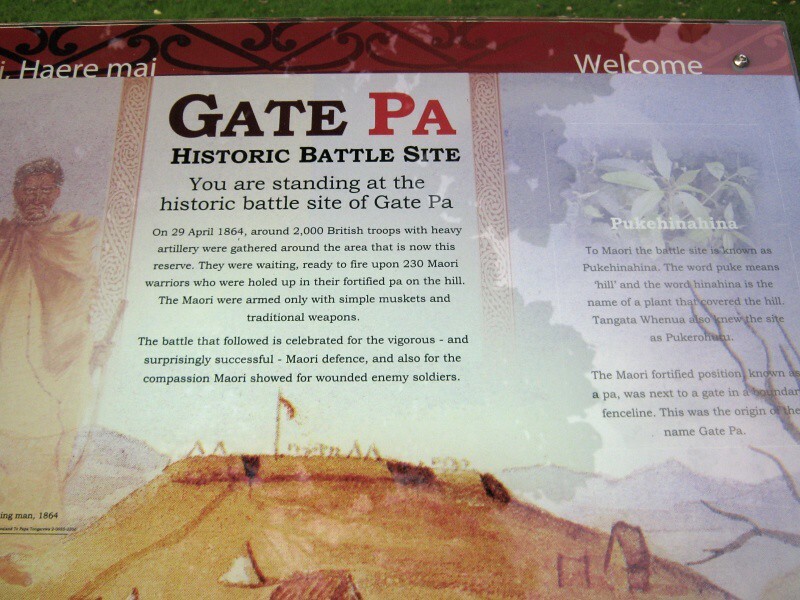 Sad to say I’ve never visited Gate Pa, walked and rode past it but never bothered walking up the hill to check it out. 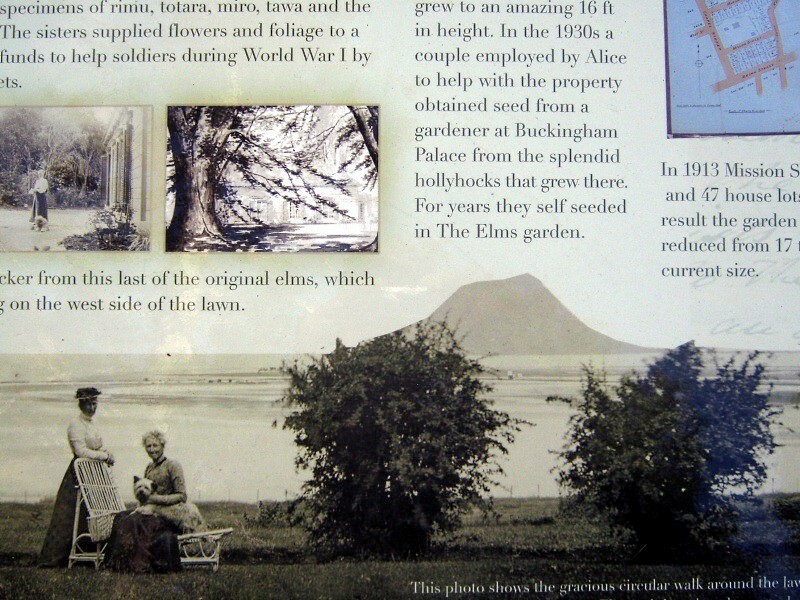 About 3 years ago I, when home on Holiday, I went to the Elms for the first time and found it quite interesting. A bit of a hidden historical gem it is. 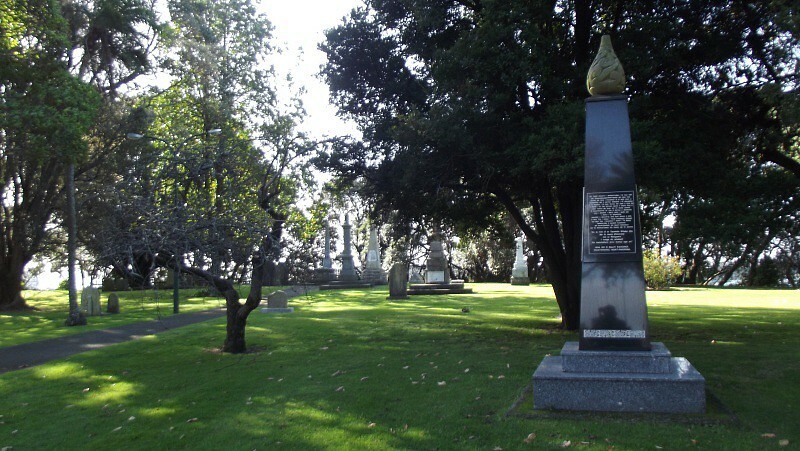 I also went to the Cemetery fort he first time in about 30 yrs that visit. Interesting stuff. I have been wanting to visit that misson house and the original old cemetary for a while now, and nearly did on my last visit but we ran out of time. This is because I went to see an old lady in her 90's in Cambridge to find out some details of her late husband who'd flown in the RNZAF. We got nattering about history and she told me about how she grew up in a house next to the mission house. She said as kids her and her brother and friends used to run around and play games in the cemetary and the mission house grounds, and she said even then it was 'ancient' history. She told me there was an old lady who was 96 who lived there when she was very young indeed, who used to tell the kids about the history of the place - because the old lady was there from the beginning pretty much and lived it all! I found it somewhat funny how she referred to this really old lady with amazing history stories - whilst she herself was now fulfilling that very role for me! She said too that their house looked directly across at the airport during the war and she knew a few airmen who were servign there. In fact from memory I think her brother was. She recalled one beuatiful evening she was watching a Harvard across the harbour and sadly saw it stall and spin into the deck, killing the pilot. 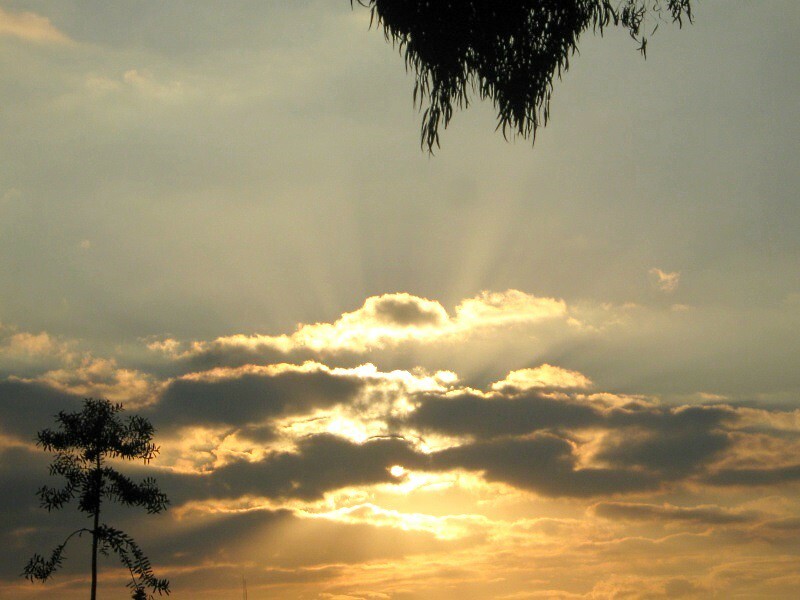 She said all of Tauranga city (then only a town) heard the blast. Now on the must see list for next visit to Tauranga! Great post, thanks for bringing this history to our attention. Rejigged following the Photobucket debacle. Imagess restored, with three more in support of the body of the text, as well as sources of information following the last post. Coincidentally the old lady I referred to above who told me about the early history passed away this past week. I am pleased the photobucket debacle has a positive note as I wouldnt have read this . A great series . More please.